Nanipora kamurai is one of the most unassuming corals imaginable, which is what enabled it to remain completely overlooked until, in 2015, it was finally noticed and scientifically described. Now, new corals are named all the time, but Nanipora was something different. 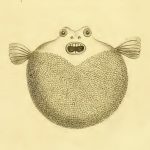 This unusual beast represented just the second known member of an obscure group, the Lithotelestidae. 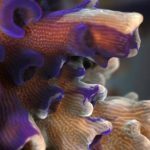 This family belongs to an ancient branch in the evolutionary history of corals, with its closest living relative being the Blue Coral (Heliopora). 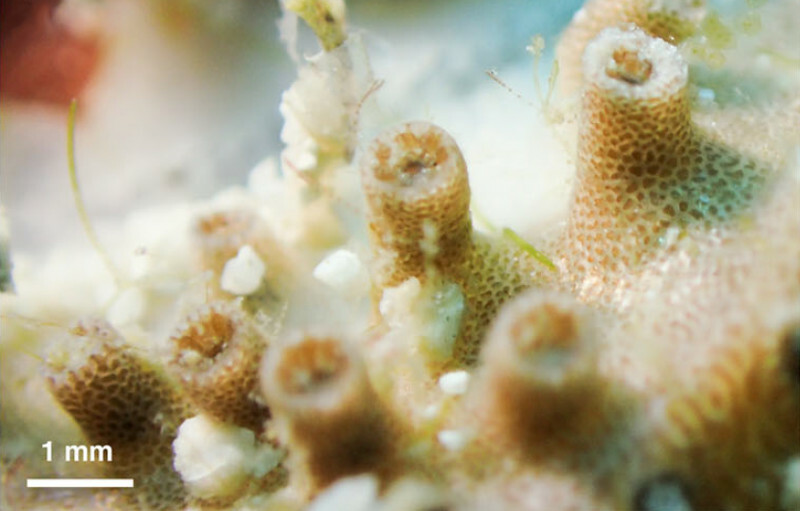 In a sense, the discovery of this little coral was the discovery of a new “living fossil”, though perhaps one not quite so impressive as the coelacanth or Protanguilla. 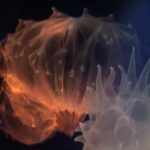 Both Heliopora and Nanipora share a highly unique trait—these are octocorals (as evidenced by their eight, pinnate tentacles present on each polyp) that have an extensive calcareous skeleton. Nowhere else among the diverse octocoral lineage (which includes soft corals, gorgonians, sea pens, stoloniferans) is this the case. But since it’s initial discovery, where it was found scattered along a rocky intertidal reef in Okinawa, we have seen neither hide nor hair of this enigmatic creature. So whither the Nanipora? 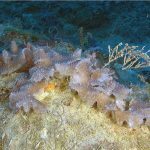 In a recently published study, some exciting new observations of this “stony soft coral” have come to light. 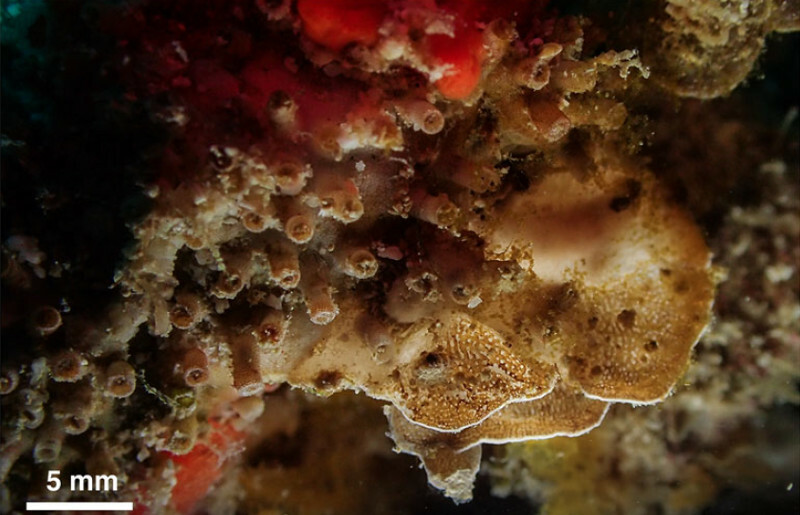 Specimens were encountered in considerable abundance at Koh Tao, Thailand occupying a shallow, fringing reef where corals like Acropora, Montipora, Porites and Diploastrea dominated. Though numerically it never accounted for more than around 2% of the total corals in a given area, some transects had up to 20% of the substrate covered by Nanipora. This is considerably denser than the Okinawan reefs where it was first encountered, but, even at this prolific density at Koh Tao, Nanipora is still a rather innocuous part of its reef community. The other major finding from this study is the first instance of zooxanthellae in Nanipora. Previous specimens observed in the wild have been associated with cryptic habitats, resulting in colorless white polyps entirely devoid of any photosynthetic endosymbionts. The same is true for the suspected aquarium specimens that have been encountered growing on the underside of Clavularia encrusted rocks. But the Koh Tao specimens were often seen growing fully exposed to sunlight, and they were able to facultatively take advantage of this energy source by taking on some Clade D Symbiodinium. Colonies seem to flourish in this habitat, with some growing to more than 20cm across, often extending outwards beyond the encrusted substrate to form laminar sheets in a chalice-like manner. They were even observed on a couple occasions to encrust the shell of Tridacna squamosa. Nanipora seems to abound in these tropical Thai waters like nowhere else, making this location the closest place we have to a Naipora-dominated reef. 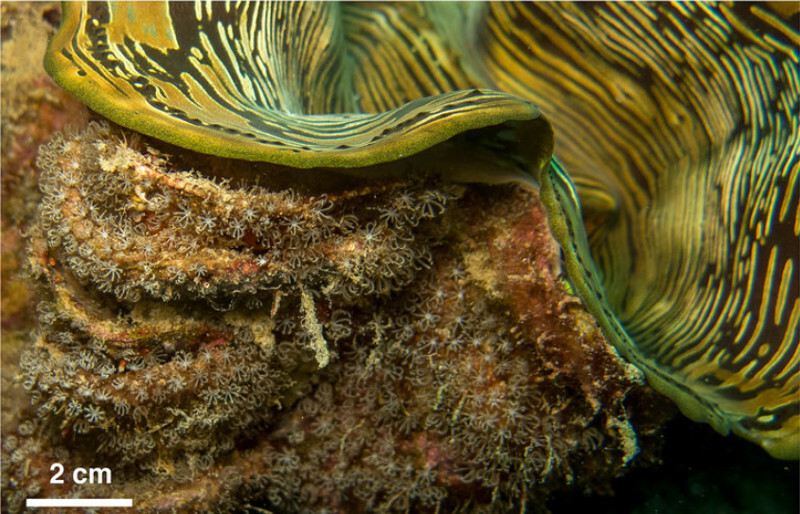 It must surely be a majestic sight to behold… assuming you’re into inconspicuous mats of minute, beige polyps. Miyazaki, Y. and Reimer, J.D., 2015. 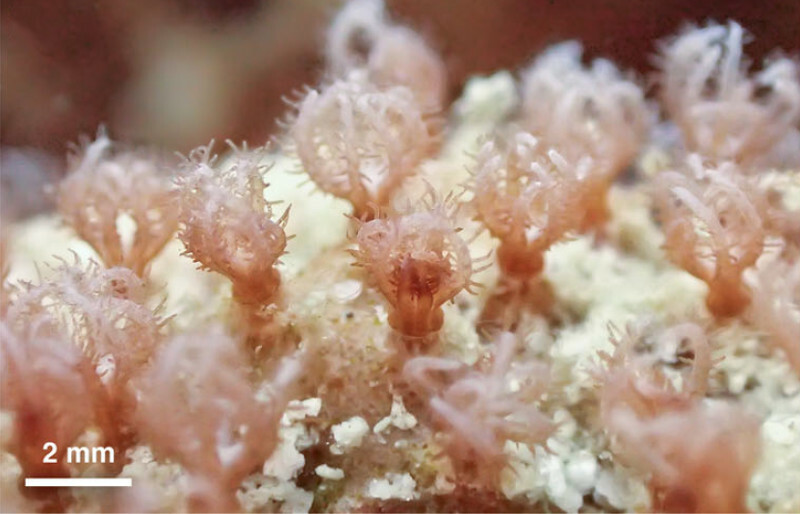 A new genus and species of octocoral with aragonite calcium-carbonate skeleton (Octocorallia, Helioporacea) from Okinawa, Japan. ZooKeys, (511), p.1. Miyazaki, Y., Santos, M.E.A., Kunihiro, S., Weinstein, D.K. and Reimer, J.D., 2016. Rarity of Nanipora kamurai (Anthozoa: Octocorallia: Helioporacea) at its type locality. Marine Biodiversity, 46(4), pp.917-921.